You can still enjoy these Kindle book deals even if you don’t own an actual Kindle. Just download the free Kindle app for your devices (Mac, iPhone, iPad, iPod, Android, or PC). Are you frustrated by your financial situation? 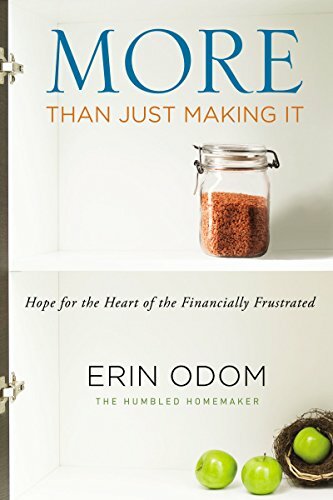 Right now you can snag the More Than Just Making It eBook on Kindle for just $1.99! That’s 88% off the regular price! More Than Just Making It will encourage you to rise above your circumstances, be empowered with money-saving tips, and reimagine the good life as God designed it outside the myth of the American Dream. Click here to see the More Than Just Making It deal!